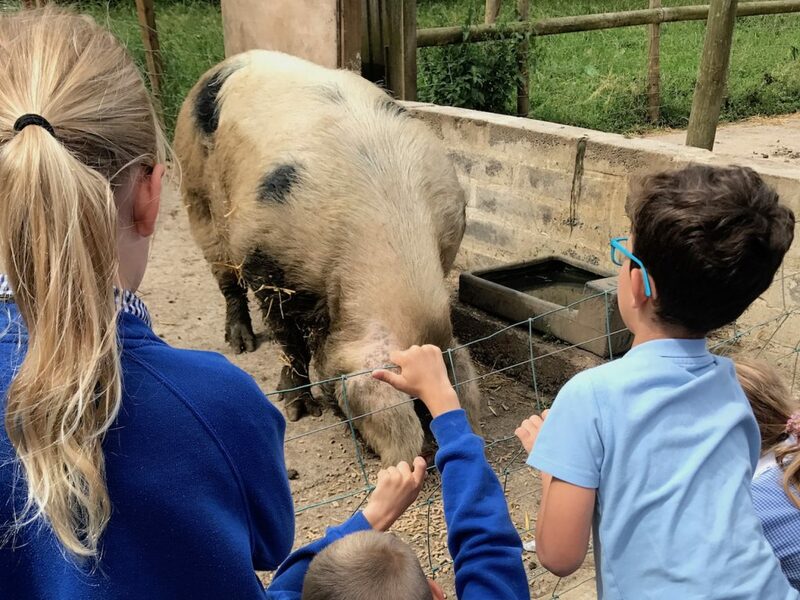 Bath City Farm is a fantastic place to learn. We are able to offer hands-on sessions for pupils from Foundation stage right up to KS4. Two, 1 hour workshops, led by our experienced team. A secured area for your belongings. A space for lunch – this is outside, a room can be booked at a small additional cost. Access to our play park. Choose two of our educational workshops from below, these can be adapted to support the National Curriculum and any specific learning objectives. Meet our animals that live on the farm, including pigs, goats, sheep, ducks and chickens. Enjoy the chance to hold, pet and feed some of the animals. This is an excellent opportunity to learn about where food comes from, animal welfare and farming. Explore the wilderness of our 37 acres of farmland and see what wonderful bugs you can catch. We even have a bug hotel! Pupils will be given magnified bug catchers and moth nets. This workshop is great for discussing wildlife, habitats and the ecosystem. With one of four ponds to inspect, you’ll be sure to get up, close and personal to frogs, newts, dragon flies and many more water based creatures. Nets and a viewing containers will be provided. This session is great for studying life cycles, environmental adaptation and evolution. The visit was great, perfect timings for each activity we loved meeting all the animals and learning all about them. The children (and teacher’s) have had a great trip. Thank you to all the staff. Price: £90 up to 30 children, £3 per child for any additional children. £10 for one hour room hire for lunch.